In the past few years the music community in Patchogue has grown rapidly. 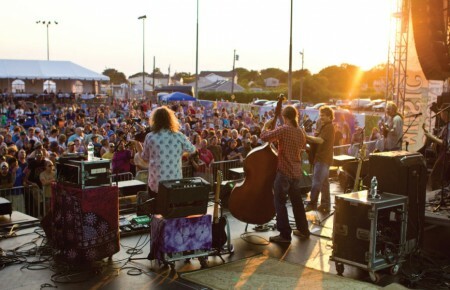 South Shore musicians are finding the eccentric town a haven of support. Some of those musicians belong to Soundswell a jam funk band with a surfer vibe. The nine-members of Soundswell, Keenan Boyle (Bass, percussion), Evan Hammer (guitar, percussion) Brady Wilkins (congas, bongos, bells, whistles and shakers, vocals), Mike O’Rourke (drums), Steve Mall (guitar, vocals, percussion), Fred Diekmann (keys, vocals, percussion) Ann McInerney (flute, saxophone, percussion, vocals), Corey Swinson (vocals), and Sydney Swinson (vocals), were all born and raised on Long Island. We caught up with Boyle as the band prepared for a busy summer concert season and the release of two albums. Long Island Pulse Insider: How would you describe your music to someone you just met? 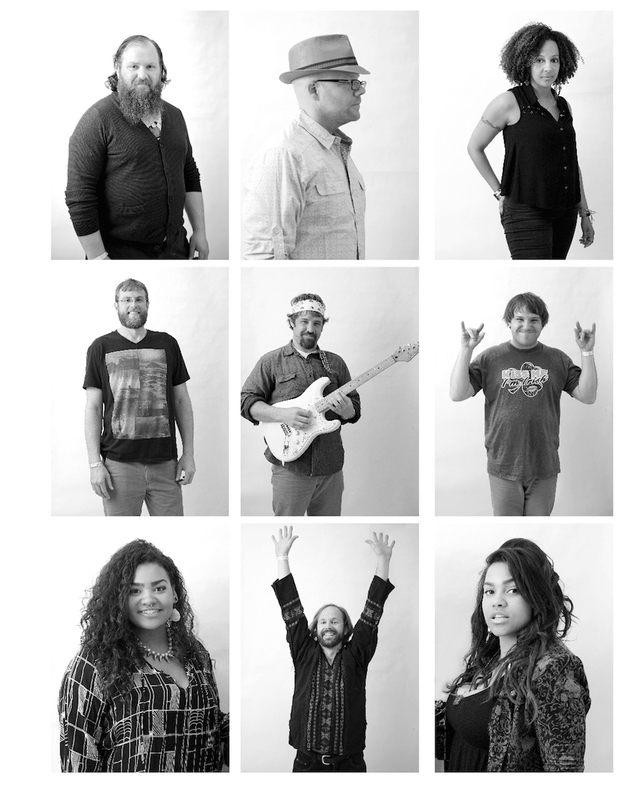 Soundswell: Jammy funk-rock is my quick answer to that question but each song is different. Each member of the band has their own style and contributes to the writing process. The result is anything from reggae to bluegrass with mostly upbeat, danceable songs. Every member sings at least one song and occasionally we’ll even switch instruments. PI: Can you give an example of two of three songs and how they represent individual members style? S: “Stand up Guy,” has a surf rock vibe which comes from Keenan and Evan surf rock vibe and then transitions to a Steve Mall bluegrass feel. Fred always has a few funky chord progressions to serve up as in “Spider Monkey.” “Rise and Fall” is the first song written by the whole band together. It has an island feel and represents our high-energy percussive nature. PI: What are you working on now? S: We just finished recording our first studio album. At Great South Bay Music Festival last year there was a contest to receive free studio time at Dream Recording Studios in Bellmore. We won by popular demand and laid down a total of 17 tracks. We recorded the songs live the way we would play them on stage and decided to release them in two parts First Set and Second Set. PI: You’ll be at Great South Bay this year? What can we look forward to hearing from Soundswell there? S: We’ll break out some new material we’ve been working on and play some classics to keep the crowd moving. The Patchogue community has been very supportive of original music and that allows us to experiment and take risks. We’ve had a great crowd in the “Jambalaya Tent” the last two years and we’re really excited to be up on the main stage this year with bands like 311, Lotus and Electric Hot Tuna. PI: How did Soundswell get started? S: It started with a couple of friends surfing and playing music together. We were writing and playing open mics when more friends joined in and it kind of snowballed. Eventually we became this nine piece “swell of sound” with drums, percussion, bass, keys, flute/sax, and two vocalists. PI: What’s the story behind the name Soundswell? S: We were sitting around a table throwing out ideas when our drummer Mikey said he had two possible band names, “Farm Stand Mongrel” or “Soundswell.” Beacause we started playing music at the beach and wanted to keep the surf vibe up we agreed unanimously on “Soundwsell,” but “Farm Stand Mongrel” is now a song on Mikey’s solo album and Soundswell will be covering it soon. PI: Who are you listening to right now and why should we listen to them too? artists from the area. I think the lyrics and message are most relevant when you listen to local music. PI: Where else can we hear you perform in the upcoming months?